When it comes to iconic rifle cartridges, the 30-06 (pronounced thirty-aught-six), is a cartridge that has stormed the beaches of Normandy and felled many big game animals throughout its existence. There is no debate about the important place the 30-06 holds in military Veterans’ and hunters’ hearts. The M1 Garand, the Browning 1919, and the Springfield M1903 were all chambered in 30-06. Any time you turn on a WWII movie, you will see some type of firearm firing the 30-06. As far as hunting goes, I can remember hunting with my grandfather and he swore that the 30-06 was the ultimate deer rifle. Although still popular with game hunters, the 30-06 has not made a splash in the modern sporting rifles arena. The 30-06 was replaced by the 7.62x51mm NATO after 50 years of military service and no firearm manufacturer has incorporated the round in to a modern battle rifle. The 30-06 has the about the same performance as a modern 7.62x51mm round. However, the larger casing of the 30-06 allows the shooter to make more powerful loadings than factory loads. Many hunters prefer to load their own rounds to maximize the performance of the 30-06. A well-calculated load for the 30-06 is capable of taking down most large North American game animals. As the 30-06 has maintained its popularity with hunters, this article will explore the five best rifle scopes for the 30-06 cartridge. The 30-06 is known for its heavy recoil and versatility. We will explore scopes that have a wide variety of reticles and have a warranty to protect the shooter’s investment. Before the reviews can start, there are a few things that apply to rifle scopes that the casual consumer may not have thought about. The two major things that most consumers do not consider in a rifle scope is First Focal Plane (FFP) vs. Second Focal Plane (SFP). To get the most out of your rifle scope, the focal plane must be a consideration. The reticle of a rifle scope is either placed on the FFP or the SFP. With a reticle on the SFP, the reticle will appear to be the same size regardless of magnification. Since the reticle stays the same on the SFP, the hold over information will only be correct at one magnification. With a reticle on the FFP, the reticle size will change based on magnification. This allows the shooter to understand that the first line on their scope is 6 MOA at 2x to 50x and everything in between. The next thing to understand is Minute-of-angle (MOA). MOA is angular measurement of 1/60th of a degree. This means one MOA is one inch at 100 yards. If you need to make a one MOA adjustment at 800 yards, you would make an eight-inch adjustment. Now that we have covered some of the obscure acronyms that come with scopes, we can begin the reviews of the best scope for 30-06 rifles on the market. Located in Wisconsin, Vortex has quickly become a major player in all things optics related. Not only do they offer a fantastic warranty to their customers, they make one of the best scope for 30-06 on the market today. They also offer everything you could want to add to your scope, levels, lens caps, rings, and so much other gear. The Diamondback is a sleek, matte black scope that is rather unassuming from the outside. Judging a scope by its exterior experience would prove to be a mistake with Vortex optics. They may look plain, but the interior is anything but. The Vortex Diamondback features Vortex’s Dead-Hold Bullet Drop Compensation (BDC) reticle. This reticle uses minute-of-angle hash marks to allow the shooter to place shots on target with every pull of the trigger. If a shooter uses hand-loads for their 30-06, they can easily determine which hashmark represents each distance for that particular load. The BDC reticle is second focal plane reticle so the shooter will need to determine holdover for their rounds at every magnification level. With crystal clear glass and a fast focus eyepiece, the shooter will not have to worry about distinguishing what is the reticle and what is a piece of brush out in the field. This scope has been Argon purged and sealed with O-rings. It is completely fog proof and water proof. The parallax is set at 100 yards on this scope for 30-06, meaning objects at 100 yards are going to be the most-clear. The scope features capped turrets that will prevent any bumps or drops from accidently changing the zero that the shooter has spent so much time verifying. Under the caps, the turrets can be adjusted in ¼ MOA clicks. When adjusting the turrets, the clicks are clearly audible so the shooter does not have to guess how many clicks they have turned the turret. If the shooter is unsatisfied with the stock turrets, there are options. Using a third-party company, Vortex offers custom turrets matched to any caliber bullet. The Vortex Diamondback measures in right at 12” in length. When ounces begin to equal pounds on long hunting excursions, the 14.6 oz. weight is not too much weight to add to a rifle. The scope offers a generous 3.1” eye relief. 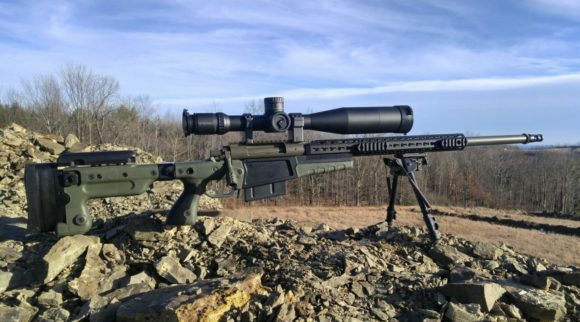 This scope is crafted out of one-piece of aluminum and its one-inch diameter makes it a rugged scope that can be trusted to survive long hunts in any conditions. It is guaranteed to be shock proof. If, for whatever reason, this scope breaks, gets set on fire, or eaten by your hunting dog, Vortex’s VIP Warranty will replace it. The VIP Warranty is fully transferable and lasts a lifetime. With quality construction and great customer service, Vortex shows why they make one of the best scopes for 30-06 rifles. Nikon started out in Japan making lenses for cameras, binoculars, and microscopes. During WWII, they transitioned to making binoculars, bomb sights, and periscopes. Although known for their cameras, it is obvious why Nikon would be a fantastic manufacturer of some of the best scope for 30-06 rifles with their history of military manufacturing. The Nikon Prostaff Rimfire features a BDC reticle designed specifically for rimfire cartridges. The BDC is not set in MOA or mils, but is still highly versatile. If the shooter creates hand-loads or buys manufactured ammo, the information can be placed in the Nikon Spot-On App. This app uses load information to show the shooter which marks should be used on the BDC reticle at any given distance. 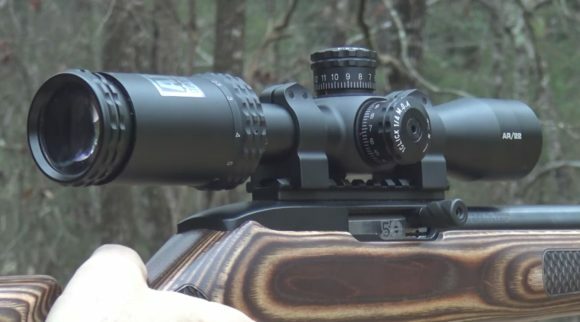 This allows the shooter to place this scope on any caliber rifle and the only adjustments would be placing the new caliber in the Spot-On App. The glass is clear and has multiple layers of anti-reflective coatings. The glass on this scope allows for great light transmission so that shooting at dawn or dusk is easy. The scope is Nitrogen purged and O-ring sealed allowing it to be water and fog proof. The parallax setting on the Prostaff Rimfire II is set at 50 yards, which is great for rimfire cartridges, but not for large calibers. This scope has some unique turret features. Like many hunting scopes, these turrets are capped to prevent any accidental changes. The turrets adjust in ¼ MOA increments and the adjustment clicks can clearly be heard and felt. The unique feature of this scope’s turrets is that they are instant zero-reset turrets. Once the shooter has verified their zero, they simply pull up on the turret and rotate it to the zero marking. Once the turret is placed on the zero marking, the shooter can adjust the turret based on distance to the target. This allows quick field adjustments so that the shooter can hit what they are aiming at every time. The Nikon Prostaff Rimfire II weighs only 13.6 oz. and is constructed using one piece of aluminum. It has an overall length of 13.5” and a tube diameter of 1”. This tube diameter allows the use of a multitude of readily available rings. The 3.7” eye relief allows the shooter to be well clear of the scope when the trigger is pulled. One major con of this Nikon scope is that it is rated to handle rimfire cartridges. It is guaranteed to be shock proof, but with a rimfire rating that may not be true with larger caliber cartridges. 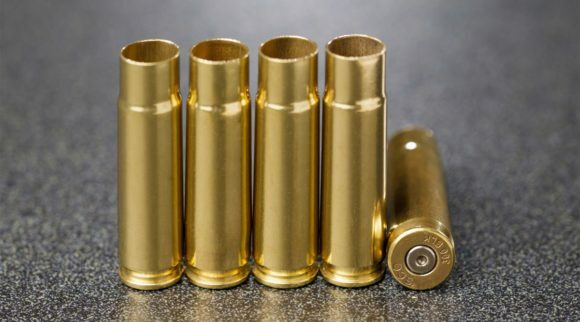 It is well known that rimfire cartridges lack significant recoil. If this scope were to be placed on a 30-06 rifle, it may not be able to hold zero or may suffer structural damage. Even this were to happen, Nikon would still replace the scope via their “No Fault Policy”. This scope can be used on a 30-06 rifle if the shooter is in a bind, but it must be used carefully. Athlon Optics is a small optics company based out of Kansas. They may be small, but they make one of the best scope for 30-06 rifles available. They use state-of-the-art manufacturing equipment and thoroughly test their products before release to the public. From the first glance at this scope, the shooter will know it means business. It has a very militaristic look with large, aggressive turrets and a matte black finish. When you take the first look through the scope, it is all about making shots easier. The reticle for this scope is unlike any reticle on this list. For one, it is the only illuminated reticle. Secondly, it contains the most amount of MOA markings of all. It is a first focal plane reticle and is simply named the APLR2 FFP IR MOA reticle. The amount of MOA markings allows the shooter to not only compensate for the drop of the bullet, but the shooter can also easily compensate for wind direction. 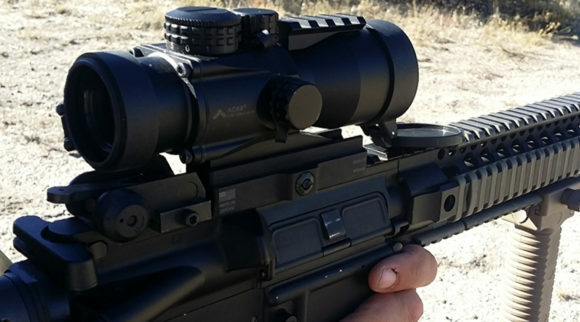 If a range finder is not handy, the MOA markings will allow the shooter to easily estimate the range to their target using a simple math equation. The only downfall to this reticle is the need to replace the batteries. The reticle is etched on the glass so use without batteries is still a possibility. The lenses are multicoated to reduce reflection and those coatings increase light transmission more than other multicoated lenses. The interior of the scope is Argon purged giving the shooter a fog and water proof scope. This scope has adjustable parallax settings from 10 yards to infinity. The Helos BTR is the first scope on this list to feature exposed turrets. Exposed turrets allow the shooter to make speedy adjustments before they make a follow-up shot. The shooter just needs to pull up on the turrets to adjust them and push down on the turret to lock it in place. The turrets adjust ¼ MOA at a time and can easily be felt and heard during adjustment. The scope is constructed using one piece of heat treated aluminum. It has a 30mm tube and is 14” long. Due to battery weight and durable construction, the 29.7 oz. weight makes this the heaviest scope on the list. The length of the scope also reduces eye relief to only 3.3”. Although that is plenty for even some of the heaviest of recoils, some shooters may feel uncomfortable that close to the end of the scope. The shock-proof scope is covered by a lifetime warranty against damage through normal use or mechanical defect. This Athlon Optics Helos BTR is one of the best scope for 30-06 shooters. Whether the shooter is a casual hunter, competition shooter, or world class game hunter, this scope provides a plethora of features to accomplish any shot. Burris Optics is a large optics manufacturing company based out of Colorado. They have been developing and manufacturing optics since 1971. With years in the optics manufacturing business, it is easy to see why they produce one of the best scope for 30-06 rifles on the market. From the outside, the Fullfield II is your standard rifle scope. It does not have any ornate markings or coloring. It is a crisp matte black with subdued name markings. The Burris Fullfield II uses the Burris trademarked Ballistic Plex reticle. It is a crisp, uncluttered reticle that can be used for trajectory compensation out to 500 yards. The reticle is placed on the first focal plane, and can be used for multiple calibers so that the shooter does not have to buy a caliber-specific rifle scope. The lenses on the Fullfield II are precision ground and multicoated. 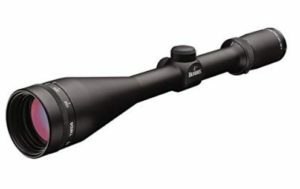 Burris offers a 42mm objective to enhance the light collection ability of the scope. The scope is Nitrogen-filled to prevent fogging. The Fullfield II has an adjustable parallax which means that the shooter can see objects clearly at a number of distances. Much like other hunting scopes, the Fullfield II offers capped turrets for protection against the elements. Like all of the scopes on this list, adjustments are made in ¼ MOA increments. Burris touts that the adjustment gears are all steel so that adjustments are repeatedly accurate. The steel adjustment gears add a positive sound and feel when making adjustments in the field. The one-piece aluminum scope weighs in at 18 oz. Not the lightest scope on this list, but it will not weigh a hunter down on a long trek to find game. At a short length of 13”, the scope offers up to 3.8” of eye relief. That is enough eye relief that even a novice shooter should feel comfortable behind the scope. Like the Vortex and Nikon, this scope has a 1” body that will accept many different styles of rings. 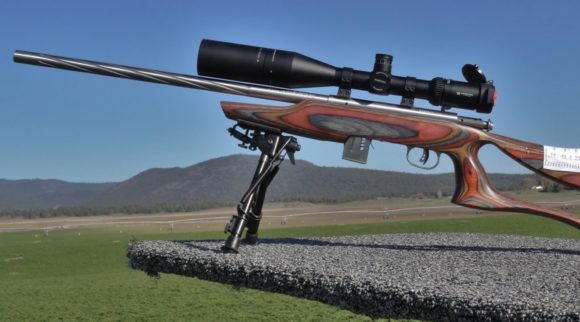 The Burris Fullfield II is definitely one of the best scope for 30-06 and has enough features that even the world class hunter would want to put it on their rifle. With its one-piece construction, it is said to be shock-proof. 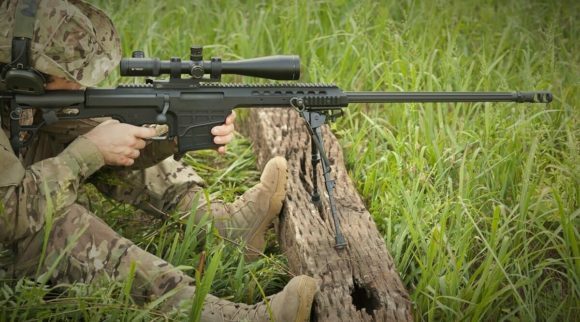 It is backed by Burris’ “Forever Warranty” which will replace the scope if is damaged or defective for the original owner or any owner down the line. 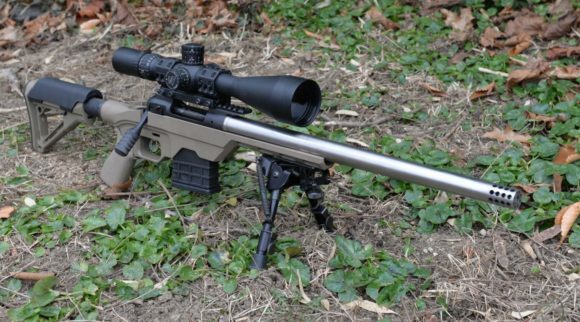 Leupold is the manufacturer of the next scope on the list of best scope for 30-06 rifles. As iconic as the 30-06 cartridge itself, Leupold has been producing quality scopes since 1947. Since 1947, Leupold has continued to innovate and assert itself as a premier rifle scope manufacturer. Even with their innovations, the Leupold rifle scopes maintain their elegant appearance. Finely contoured and finished in matte black, these scopes look a lot like the scopes from Leupold’s past. The reticle of the VX-2 resides on the first focal plane. Of all the reticles featured on scopes in this article, this is the simplest one. The reticle is the standard crosshair reticle, but features thick posts that narrow at the point where the lines cross. There are no MOA nor mil markings. This reticle does not feature any type of patented BDC circles. 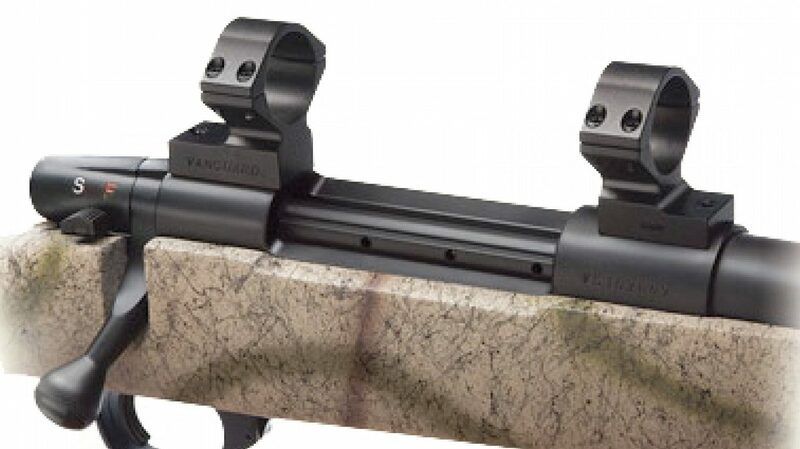 The VX-2 reticle is perfect for the shooter that has so much practice with their rifle, they know where their bullet will impact. 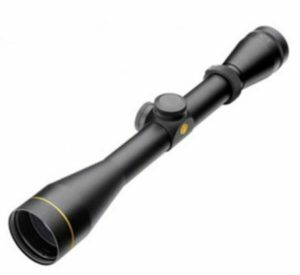 One thing that is unique to Leupold scopes is their Index Matched Lens System. This system gives the shooter a brighter and sharper image than other scopes. The capped turrets of the VX-2 are in line with many of the scopes on this list. They also feature the standard ¼ MOA adjustment intervals. Like many other manufacturers, Leupold has made sure that adjustments can be felt and heard. They have made sure that the shooter does not miss a second shot because the shooter couldn’t determine how many adjustments they made. The best part of these turrets is that they are completely adjustable by hand and do not require any tools. If the shooter finds that these turrets just won’t work for them, Leupold offers custom dials that can be purchased and matched with any type of cartridge. The 12.6” overall length allows the VX-2 to weigh only 11.2 oz. 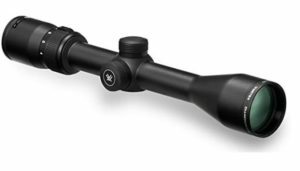 Although constructed much like the other scopes on the list, this one-piece aluminum scope is the lightest by a few ounces. The VX-2 also allows the longest eye relief of any scope on list at 4.2”. Not as robust as other warranties, Leupold offers a lifetime warranty against manufacturer defects. When quality scopes are mentioned, Leupold is at the top of the list. 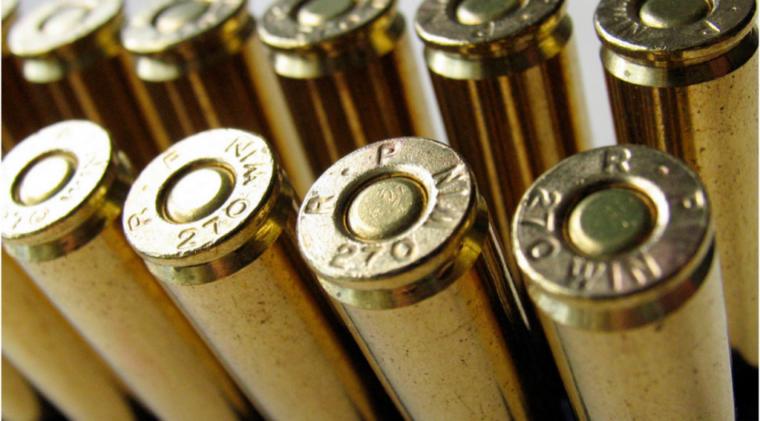 When hunting rounds are mentioned, the 30-06 is at the top of the list too. Due to Leupold developing their scopes at the height of 30-06 popularity, it may be no coincidence that Leupold makes one of the best scope for 30-06 rifles. The scope may be the most important piece of equipment next to the rifle itself. Whether you read this article as a beginner or as an experienced hunter, there is a scope that will suit you. Each of these scopes would make a great addition to any shooter’s inventory. Most of these scopes have a lifetime warranty. They can be passed down throughout generations much like hunting rifles are passed down. This list was meant to save time for the consumer. Hunting season may start soon and you need to get out there and zero your rifle. Following this guide will allow you to pick the best scope for 30-06 hunting and get to the range. If after hunting season ends and you no longer need to use 30-06, you can use these scopes on modern sporting rifles or a child’s 10/22. These scopes are versatile and reliable. You may never storm the beaches of Normandy carrying an M1 Garand, but you can go out on a mountain with a 30-06 caliber rifle and use of these scopes to bag an epic trophy animal. Although modern long-range shooters may try to force the 30-06 out of existence for modern cartridges, the 30-06 will not disappear because it has been so effective for so many years. 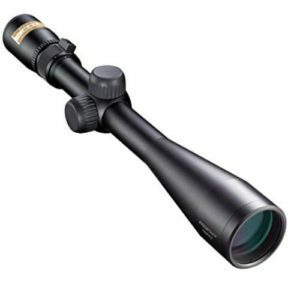 These rifle scopes are simply unbeatable when used in conjunction with the venerable 30-06. 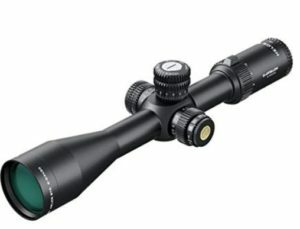 Best Gun Scope For 17 HMR | BestGunScope.com’s Top Picks!